Ahead of the 2019 general elections, Adamawa state governor, Muhammad Umar Jibrilla Bindow has expressed commitment to the reelection bid of President Muhammadu Buhari, saying Adamawa state under his watch will not waver in that commitment. Bindow “remains steadfast in the bid for President Muhammadu Buhari’s re-election come 2019 and is fully committed to the APC ideals,” a statement by his Special Assistant on Media and Publicity, Macaulay Hunohashi said yesterday. “At the national level, President Muhammadu Buhari has done tremendously well for this country in security, economy, fight against corruption, employment, health, education and infrastructural development. “Like I have said many times in the past, President Buhari is the best thing to happen to this country. He means well for Nigeria. He is passionate about this country. He is trying to get a great future for Nigerians. So what reasons do I have to defect,” Bindow questioned rhetorically in the statement. The former Senator also dismissed unconfirmed reports suggesting he plans to defect from the All Progressives Congress (APC) to the Peoples Democratic Party (PDP) as “malicious and baseless.” He debunked claims that he has given the PDP his conditions for joining the party and that talks are in advance stage about a possible defection. According to the statement, “Governor Bindow said his loyalty to his party and the Buhari-led administration is unshakable and it will be obtuse for anybody to believe such false defection plan reports, which is clearly intended to malign him and cause mischief. “Over the last three years, we have shown commitment to the yearnings of the good people of Adamawa State to improve their standard of living through progressive implementations on agriculture, health, education, peace and security, water supply, youth and women empowerment as well as infrastructural development. “And what is especially pleasing for me is that the people of the state recognize and appreciate our efforts to make Adamawa a better place for them and therefore they have supported this administration in every way possible. The Governor further stressed that the news reports making false claims about his defection are plotted by some politicians who desperately want him to join the opposition. “He then called on them to dump the opposition parties and join him in the APC as they are so fixated to be in the same party with him. “They are always welcome to join me in the APC”, the statement said. 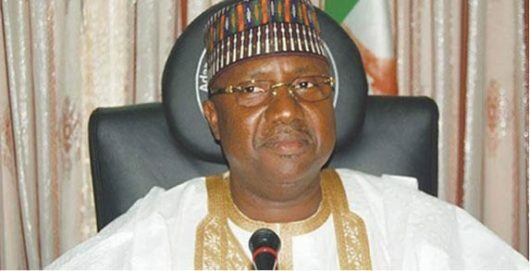 On his part, the Adamawa State APC Organising Secretary, Ahmed Lawal, said Governor Bindow is the most loyal member of the APC in Adamawa State and it is worthy of note that he is the first Senator to join the APC from the PDP over four years ago. Lawal added that, Bindow has done so much to move the party forward and he has made Adamawa State a better place for all, therefore he has the confidence of every party member as well as the good people of the state. “His transparency and accountability to the people of Adamawa state on how financial and material resources were expended as well as the distribution of projects across the states is almost perfect. No Governor has done so much for Adamawa like Bindow has in three years. “It is so unfortunate that we are our own enemies. What exactly do we want In Adamawa. If some people cannot for once appreciate the efforts of Bindow s administration. I don’t know their own definition of development. We are proud of Adamawa under this administration and we will do our best for continuity. “Come 2019, the party and the people will ensure that this true democrat returns as governor of the state with a landslide victory,” the statement said.